Using the Consolidate command, you can create a “consolidated” copy of a project, and select which types of assets are copied into the consolidated project. 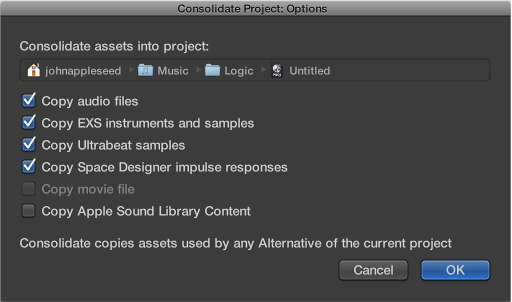 Choose File > Project Management > Consolidate (or use the Consolidate Project key command). Select the checkboxes for the file types you want to copy into the consolidate project, then click OK.